on plate so Florg can eat them!!! FLORG THE MUTANT CHIA IS HUNGRY, AND HIS FAVOURITE SNACKS ARE PETPETS! USE THE HAND TO KEEP THE PETPETS FROM FALLING OFF THE TABLE. YOUR GAME ENDS IF FIVE PETPETS FALL OFF THE TABLE. CONTROLS USE THE OPTIONS MENU TO SET YOUR CONTROLS. YOU CAN EITHER USE THE MOUSE OR THE KEYS TO CONTROL THE HAND. SCORING YOU GET ONE POINT FOR HITTING THE PETPET WITH YOUR HAND. AND TEN POINTS FOR FEEDING FLORG A PETPET. You are completely disgusted, but still want to see how the game works. You control an orange hand that swings around a circular platform. A large, slobbery Mutant Chia is anxious and flailing all over, waiting for Petpets. A small cage lowers. A cage! You gasp! This is CRUEL AND UNUSUAL punishment! Where are all of these Petpets coming from? A Krawk, Blue Kadoatie, Bearog, Slorg, Green Puppyblew, Hasse, Snorkle, Warf are lowered throughout the game. Krawk? Krawk?! Those sell for� for Hundreds of Thousands, MILLIONS of NP (Anywhere from 425k to well over 1 million)!!! They're just being dropped from a small, steal cage for this Mutant Chia to consume at your control?? And this is a GAME? People are ENCOURAGED to play this game?? You can't believe your eyes. What has NeoPets come to? Mutants are all ready feared for being larger and not as fuzzy. Mutants are all ready shunned and sometimes hated for this. By using a Mutant NeoPet as the Mascot, people will come to believe that all Mutants, especially the Chia, are Petpet-eating, slobbery, fat (OK, so Chias ARE fat) NeoPets with bad grammar! Mutants are NOTHING of the sort! There are many VERY intelligent Mutant NeoPets! What does that say? The more Petpets you eat, the more points, the more NP you will gain! NeoPets is suggesting EATING Petpets. They are also saying that Mutant NeoPets are the ones doing it. If you do not approve of eating Petpets, you will obviously disapprove of Mutants. Besides Petpets painted Mutant, the Slorg has the biggest resemblance to that of a Mutant. Florg has an expensive appetite, as he consumes 5 Krawks easily during one game. But Slorgs are not good enough, are worth only half the normal 10 pts you receive for consumption of a Petpet? In Florg's own words, "Florg think Slorgs are yuck." Perhaps this is a lucky thing for our Slorg friends. But it is also saying Slorgs are under-average, only good enough for half. I think the Slorg is a PERFECTLY good Petpet. 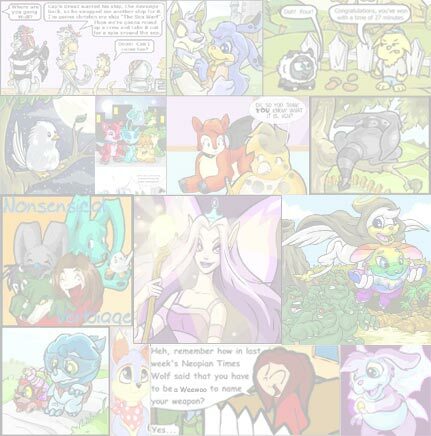 Unless you go to the Rainbow Pool regularly, you may have never even heard of Mutant NeoPets. Yes, some Neopians know Dr. Sloth (who is merely misunderstood!) can give you a Transmogrification Potion to change your NeoPet into a Mutant, but MANY Neopians are relatively new to the site. This is the first time a Mutant NeoPet is used in a game. So basically, the only time you see a Mutant NeoPet is when it is eating a Petpet. Great. Petpet-eaters are not going to be liked. Therefore, Neopians are going to start hating Mutants. As I said before, I know MANY good, INTELLIGENT Mutant NeoPets and knew one in particular wasn't taking Florg lightly. crazygal32123123's Mutant Cybunny, Fhurr and I talked about the new game and Florg. Fhurr: Yes, I'm very upset. I don't understand how anyone could think that Mutants eat petpets. �People are afraid of us because we're larger than normal Neopets, and, I'll admit, we're a little frightening. But people must remember that none of us began this way--we started as smaller, fluffier Neopets and our hearts and minds are still theirs. �I assure you, I've never tried to scare anyone, but I do know my appearance is a bit odd. 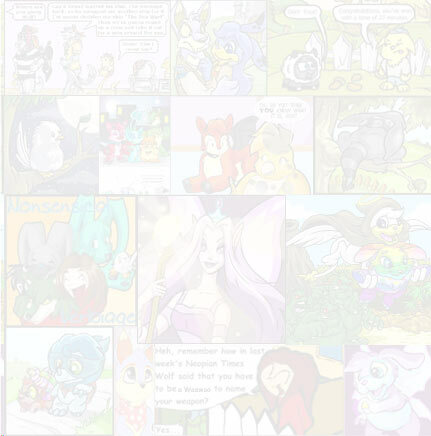 ireallyamaloser: I've all ways loved Mutant NeoPets. But to think that NeoPets created a Mutant NeoPet that eats Petpets and makes a GAME out of it� That is DISGUSTING�THAT IS SICK!!! Fhurr: *nods* And it creates yet more hate towards Mutants. Why, just after the release of the game, a crowd of NeoPets tried to take my dear Gruslen away from me! They seemed sure that I would make the poor thing into a sandwich! My sister had to threaten to bite them before they left. ireallyamaloser: (Out of curiosity) What species and colour is your sister? Fhurr: geekishfreak is a blue Kau. ireallyamaloser: Do you know any Mutant Chias? Fhurr: Yes, I have one as a friend. ireallyamaloser: Do they eat Petpets? Fhurr: Not at all! On the contrary, the two of us generally sample different carrot dishes, and we generally share them with our Petpets. Neither of us like meat of any sort. ireallyamaloser: Are Chias generally meat-eaters? Fhurr: They have a hard time chewing meat, as they have no teeth. Most that I've known are content to eat sweets and ice cream--that's why they're so pudgy. ireallyamaloser: Have you played Feed Florg? Fhurr: I asked my sister to, to see if I was misjudging it. It's every bit as bad as you'd think. Florg even seems to be constantly... ugh... drooling on himself. 'Slorg is yuck' is yet another painful point. And, if you look closely, you'll notice that the Slorg--the Petpet closest to being considered a Mutant--is worth only half the points. I'm a mutant, and I speak eloquently enough, don't I? They also portray him as having terrible manners and an atrocious disposition. Fhurr: I would like to say on behalf of all Mutant Neopets that we wouldn't harm a fly, much less a Teasquito. Please, let Neopets know how you feel about this savage portrayal of us pets. If you don't mind my mentioning, Extreme Herder--where you save Petpets--is much more fun and has a bigger Neopoint give out. Fhurr's last statements recap everything that should and could be said on Behalf of 'Feed Florg.' 'Feed Florg' is bad ALL AROUND. Not only does it portray Mutants as large, scary, unintelligent creatures, but also it promotes eating Petpets and that Mutants are the ones doing it. Mutant NeoPets DO NOT eat Petpets. Mutants are not daft and do not speak in sentence fragments. They do not fail and drool. Mutants are WONDERFUL creatures.